hs80m are in the studio equipment of anime edge! This Image taken from DotExe's facebook, contains a pair of Yamaha HS7 studio monitors. Kygo posts a photo of his newly purchased Yamaha HS7 Powered Studio Monitors (photo posted November 2014). He says, "Just bought my first pair of studio monitors! Guess it was about time" The monitors are shown still in their original boxes. [Follow up Instagram posts](http://instagram.com/p/u5rQBltbDt/?modal=true) show the monitors set up and in use in Kygo's gear setup. "Another WIP" as the caption. The Studio Monitors can be seen in the picture. In this facebook post, Zaxx uses Yamaha HS7 studio monitors in his studio. Michael Brun using Yamaha HS7. A pair of Yamaha HS7s can be spotted at 1:07 in this interview of Max Graef, by Electronic Beats. 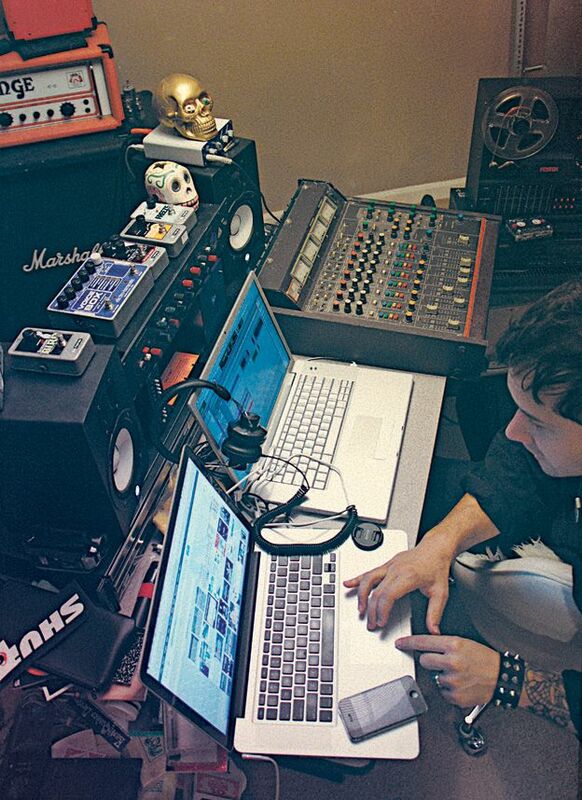 In this photo of Ruban in his home studio, a pair of Yamaha HS7 monitors can be seen. he has backed this up in an interview with TapeOp: http://tapeop.com/interviews/109/unknown-mortal-orchestra/ "I had these [points at Yamaha HS7 monitors]. I still have no desire to upgrade from them." You can see the two speakers on his desk. in this video artist show us his hs7! In this Instagram picture, a pair of Yamaha HS7 Powered Studio Monitors can be seen inside Lost Frequencies studio. Given the lack of "precise" detail in the photo, it can be assumed that these monitors are from the HS7 models, however according to the size of Felix's studio the Yamaha's HS8 could still be a valid option. In response to a tweet I sent him, No Mana says ". @RidwanAzeez2 MacBook Pro, a keyboard, a pair of HS7's and a semi treated room"
In this video Reece Low plays us some new music where you can see a Yamaha HS7 Powered Studio Monitor. They are using the Yamaha HS7 Powered Studio Monitors in their studio on October 29, 2014. Baasik tweeted out a photo of the monitors he uses in his studio while he was building it. in this photo we see yamaha hs7 on his studio equipment! Great article about the Lemon Twigs' setup: "The D’Addario brothers’ home studio has a smattering of new gear and a bunch of stuff from their father’s heyday including; a Tascam 80-8 eight-track, which runs 1/2-inch tape at 15ips, Mackie 16-channel 1604-VLZ Pro, Yamaha HS7 monitors, an old Alesis XT reverb, and a dbx 1066 compressor." A pair of Yamaha HS7 (actually just one) can be seen at 1:20 in this Facebook video, uploaded by the artist himself. Given the lack of more detail, it can be assumed that the HS7 are used here, but nevertheless, these could also be the larger variant, the Yamaha HS8 Powered Studio Monitors. I like the design of those monitors. Sure, they are lacking the deep bass, but i cant use bigger speakers without making my neighbours go crazy. Huge sound, thick rich bass and lovely highs. I'm not an expert but these just sound so damn good. i want a pair of monitors!!! My very first studio monitors borrowed from my buddy. Perfect balance between LF and HF. Great sound. Cannot be happier in my choice. I was going to go with KRK, not that they are a bad choice necessarily, but after some deliberation I'm glad I went with the yammies. My production quality has improved tenfold since owning these. Make it sound good on these and it will sound good on anything. Less nice than you might be used to. Very accurate full range mids. Loud as you'll ever really need. Lacking a tiny bit of sub frequencies, but plenty of lows. You'll start hearing things you've never heard before. Brings out microphone characteristics. Super sleek look, I just love the white speaker on the black cabinet. These monitors are amazing. Super clear and loud bass frequencies along with excellent mid and high ranges as well. Very loud and clear. I use these for all of my production and song mixing. Well worth the money, for around 5-600 for the pair, its a price that cannot be beat for professional grade monitors. Utilizzo queste stupende reference monitor esclusivamente in fase di composizione nel mio home studio. Non sono un ingegnere del suono, semplicemente un produttore. La post-produzione delle mie tracce la affido ad un tecnico di fiducia in studio professionale, che mixa e masterizza 100% in analogico tutte le mie tracce (stem mixing + mastering). Very, very flat but if it sound great with them it will sound good everywhere. Really great sounding monster speakers. Nice high end definition with some good low end.